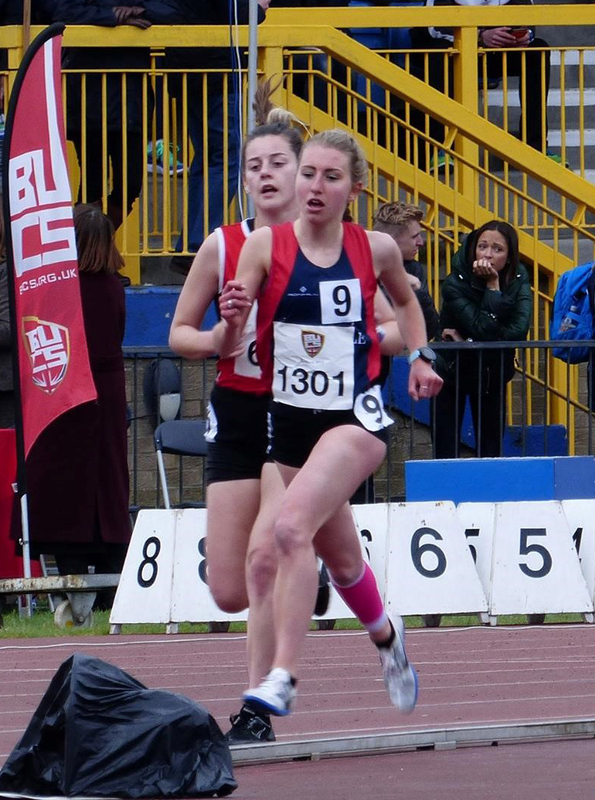 Amelia Pettitt tells us how she balances her Chemical Engineering degree with competitive running, hobbies and part time work. I’m currently in my fourth year of study of Chemical Engineering, specialising in sustainable engineering to complete my masters degree. 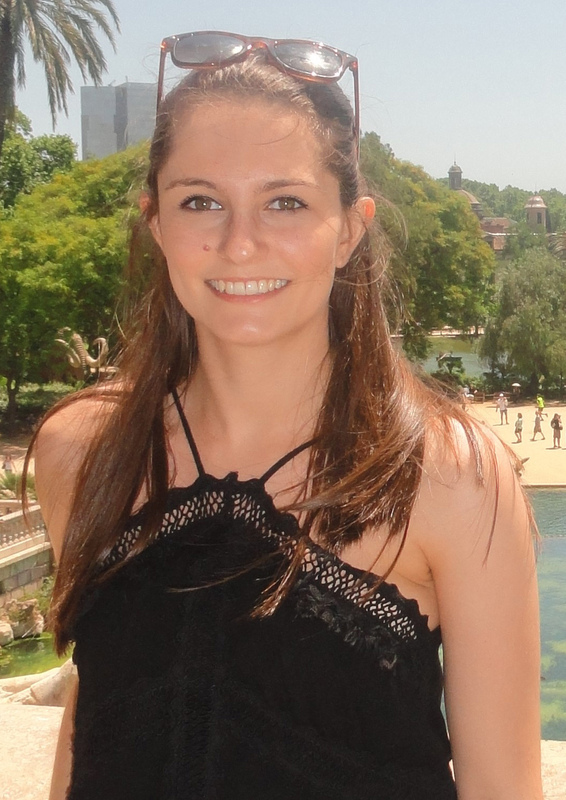 I am also a highly competitive runner and therefore when I first came to university I was unsure of how I would manage the work/life balance of studying an intense degree like engineering with my sporting commitments. However I soon realised that although this would be a challenge, my involvement in both would complement each other. In stage 1 the typical contact hours were 9-1 each day, which I found worked really well for me. As the course requirements weren’t too intense, I enjoyed going to the gym at 1 after my lectures to give myself a break, before completing tutorials and any assignments later in the afternoon. I was catered therefore I had another break to go to dinner with my flatmates. I didn’t realise it then, but all these breaks were really benefiting my studies and I felt I was constantly socialising! Being surrounded by other students in halls with less contact hours didn’t phase me and I didn’t feel I missed out. If I wanted to go out, I could often manage one night a week, which I found was enough for me. I would always choose the sport night on a Wednesday as this allowed me to see my running friends as well as my flatmates. My flatmates would often go out more than this, but my halls were so big that there were other chemical engineers nearby that wouldn’t be going out, and there is something quite satisfying about seeing them hungover and missing out on a free breakfast when you wake up feeling fine. In stage 2 the contact hours increased slightly, but the days were more spread out with lectures spanning the day 9-5 with multiple breaks. From stage 2 onwards I began to work in uni 9-5 and complete my training and gym sessions outside of this. I found this worked really well for me, as I could switch my brain off and socialise with friends not on the course after a full day in university. I found I had less time to go out, but this was mainly because of my training commitments rather than the course. I became more disciplined and structured with my time, and this provided me with a healthy lifestyle. I also applied for a placement year for after second year. I found I spent a lot of time preparing for interviews with help from the careers service. The course was structured to enable this, with majority of the weighting of the year based on January and June exams rather than assignments, giving me time before Christmas to secure my placement. I still worked at weekends if I needed to, however this probably wasn’t essential – definitely if you aren’t applying for placements and training once or twice each day! After my placement year I found the 9-5 routine was ingrained in me and I wasn’t looking to change it coming back to university! It is difficult to have every weekend off, as things do come up in the week and I always want to try to make up for this lost time. However overall, now in my last year of study, I tend to take weekends off. I’m either travelling to races or exploring Newcastle – making the most of my last year in the city. I’m also part of the baking society. I enjoy baking as its almost like engineering in the way you have to plan in advance and follow a schedule to ensure your bake will be successful. However I also find it very relaxing and a chance to be away from the computer for a little while. 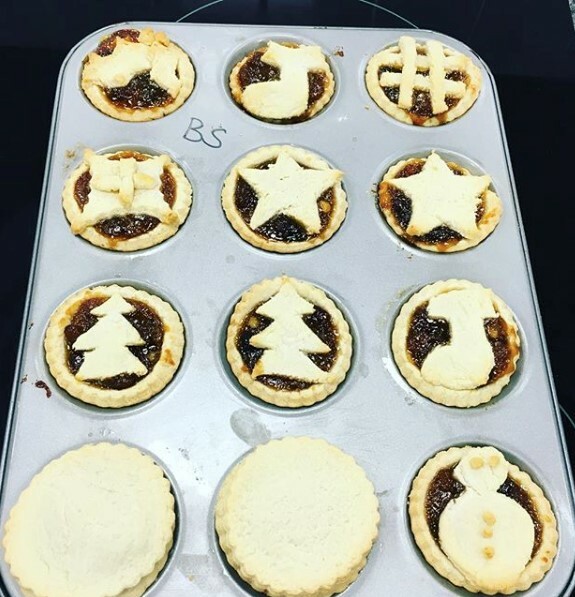 I bake on the university campus which is ideal – the society provide all the equipment and ingredients and I just bake for a couple of hours and head back to the library with my fresh library snacks. It’s perfect, and doesn’t take up too much time out of my day. I find adding hobbies into my day at specific times really helps my studies as I am more motivated to work hard if I know I need to leave at a set time. Engineering has a lot of contact hours, which although this may lead people to believe it would be less social, it actually results in having a lot more friends! I know everyone in my year at university and I live with Chemical Engineers. This is ideal for asking for help and feeling at home at university. If I need help, I can always find someone in the computer cluster. I have other friends too, from the university triathlon team, cross country team and baking society, all of which hold social events for when I do want a break from any chemical engineering talk. I’ve been to Edinburgh, Sheffield, Stirling, Brighton, Manchester, Leeds, and London – all over the UK with the teams competing. If you are worried about the financial side of university, Engineering opens doors to many scholarships which are definitely worth working towards! If you feel you need a part-time job, then there are many opportunities on campus including those to be a student ambassdor and street scientist. As a student ambassador I show future students around the university. As a street scientist I perform simple science experiments to explain everyday concepts to children aged primary school to A level, on campus and at local schools and events. I thoroughly enjoy them both, and they add to my communication and presentation skills, as well as my scientific knowledge! If I was to choose to come to university again, despite how challenging chemical engineering can be at times, I don’t believe there is a better degree to do. Chemical engineering gives you so many transferable skills, providing a technical background and supportive learning environment. There are so many opportunities to get involved in through extra activities on offer at university, and with an engineering degree, you can still fit these in by prioritising the most important which is an essential skill to set you up for the working environment. Find out more about Newcastle University’s Chemical Engineering courses here. As a student it can sometimes be difficult to effectively balance your studies with life outside University. 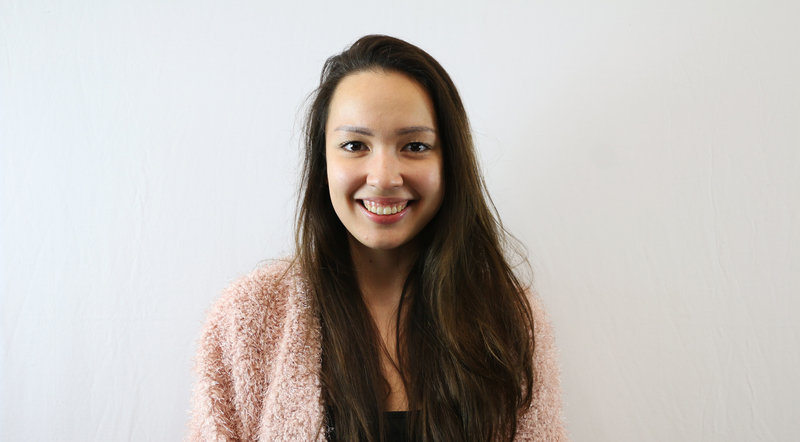 In this blog post, stage 4 Chemical Engineering student Sophie Murta tells us about her experiences so far, and how she finds time to unwind. I’m currently studying MEng Chemical Engineering as a stage 4 student. My main drivers when selecting a university were the staff. This was a huge draw of Newcastle as the staff were all really friendly and down to earth on the open days and this has continued during my time here. Everyone is happy to help whether it be academically or personally. The support in offer at Newcastle is great – not only from the staff but from fellow students also. Stage 1 – I found stage one a great introduction to university life. The lectures and lab sessions were well structured and allowed the transition from school to university to be as easy as possible. I was also able to quickly make a good group of friends on the course as we would always have lectures together so spent a large proportion of our time together. The Chemical Engineering society was also a great way to make friends and settle in as advice from other students always helps. I always attended the society events as well which is a great way to relax with course mates and spend time together that is not work related. Stage 2 – I found stage 2 not too different from stage one as the structure was very similar – just a larger workload and some more chemical engineering content. The contact hours slightly drop due to fewer lab sessions and the higher level of independent study required for group assignments and individual work. Stage 3 – I enjoyed this stage the most so far as I was able to combine the skills and theory I learnt to design a plant from scratch as part of a team and a unit operation in detail. This was a great way to see the standard and quality of work that would be carried out in industry and having one project to focus on that included so many different aspects was really interesting. Stage 4 – In the masters year the course caters for further learning and specialisation. I chose the standard chemical engineering route with an optional module of process control. Not specialising allowed me to gain a broad understanding of each sector, which I found gave me flexibility when applying for jobs. The other main part of stage 4 is the research project which has allowed me to develop further lab and research skills as I have designed my own experiments and project, which I am able to dictate the direction of. This gives a sense of freedom and autonomy that I feel is preparing me well for the world of work. To switch off from my course and work I like to get involved with a lot of things that Newcastle has to offer. My hobbies include participating in the student brewing society (StuBrew) which I have been involved in since stage 1. In stage 3 I was elected president of the society, which was a great experience as I was able to work with a fantastic team on a project we were all passionate about. I also enjoy watching sports, going to gigs and eating out with friends all things Newcastle is great for. During my time at university I have had many part time jobs, from working as a student ambassador at the university to working in bars and restaurants. I have mainly taken these over the summer to allow me to focus on studies during the academic year. I manage my time by trying to treat my course like a job – I will work 9-5 on weekdays which allows me evenings and weekends to relax or to catch up if I need any additional study time. This allows me to switch off from work and allocate my free time to socialising or other hobbies and interests. Stu Brew is Europe’s first student-run microbrewery based at Newcastle University. We are managed by students for students through Newcastle University Students’ Union. There are over 120 students involved in Stu Brew. The brewery is capable of producing around 800 pints in one day and the beer is sold at a variety of pubs and bottle shops throughout the North East. Our brewery is where all the magic happens. The brewery is made up of a number of stages. The brewery can be seen in the picture below which shows all the different vessels. Hot Liquor tank: This is where all the water that is needed for the brewing process is heated up to around 77°C . Our brewery uses around 500 litres of water per brew! Mash Tun: This is where the hot water is mixed with grain to extract all the sugars that are used to make the beer. Different types of grain are used to create different styles of beer. We have made over 15 different styles of beer with many more to come. Kettle: The wort is boiled for an hour killing off any bacteria that may infect the beer. Hops are added at various points in the boil to add different flavours to the beer. For example adding hops at the start of the boil gives the beer its bitterness whereas hops added towards the end of the boil yield more aromatic flavours. Heat Exchanger: This is used to cool the boiling wort down to 20°C. Fermentation: The yeast is added to the beer which reacts with the sugars within the wort and converts them into alcohol. After about 72 hours this reaction is complete and the beer is then put into casks and is ready to be sold and drunk!